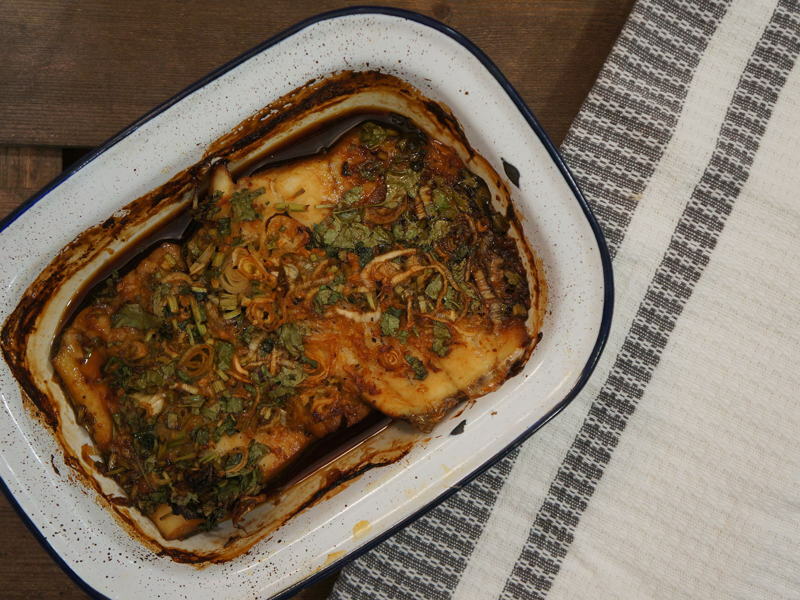 Mix together the soy, ginger, lime juice, spring onion and coriander in a baking dish. Marinade the fish in the soy mix, turning to coat well, then cover with cling film and refrigerate for up to 2 hours. Ten minutes before ready to bake, take the fish out of the fridge and bring up to room temperature. Then, bake in the same dish at 180C for 20 minutes. Baste the fish with the marinade halfway through cooking to ensure it stays moist, and once again just before serving. Serve with a side of steamed jasmine rice and green vegetables for a healthy and quick midweek meal.